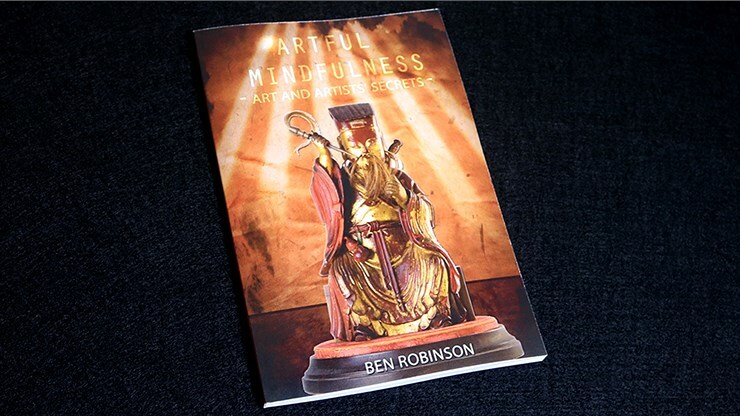 Artful Mindfulness (Art and Artists' Secrets) is a timely book for a world over-run with technology. Mindfulness, taught at universities worldwide, including Oxford University (England), seeks to remind and train people to never forget the most human feeling components in life. Sherlock Holmes famously stated, "You see, but do not observe." Like Holmes, we are better off truly considering our circumstances. Here, mindfulness is entertainingly studied from the arts. Drawing from examples in over thirty notable films, sculptures, acting, TV dramas, the fine arts and circus', Ben Robinson brings forth fascinating and unusual, previously unknown stories. From Martin Sheen's dazzling performance in Apocalypse Now to the intuitive actions of Charlie Chaplin, this is exciting non-fictional, educational scholarship. An autobiographical tone captures the author's experiences on stage and in the streets as a world-class illusionist. Being mindful of our "inner voice" and noting information when it arrives gives people great advantage in commerce, life and love. Understanding the mindfulness of actors Jackie Coogan, Al Pacino and John Cazale, a deep insight is gained by the reader. Mindfulness is magical!